Shopping for a home security camera affords far more options these days than it did just a handful of years ago, the result of technological innovation driven by competition. The latest entrant in this ever-expanding market comes from a familiar name in the networking industry – Netgear. The company on Tuesday launched the Arlo Pro, the successor to its original Arlo camera that arrived two years ago. 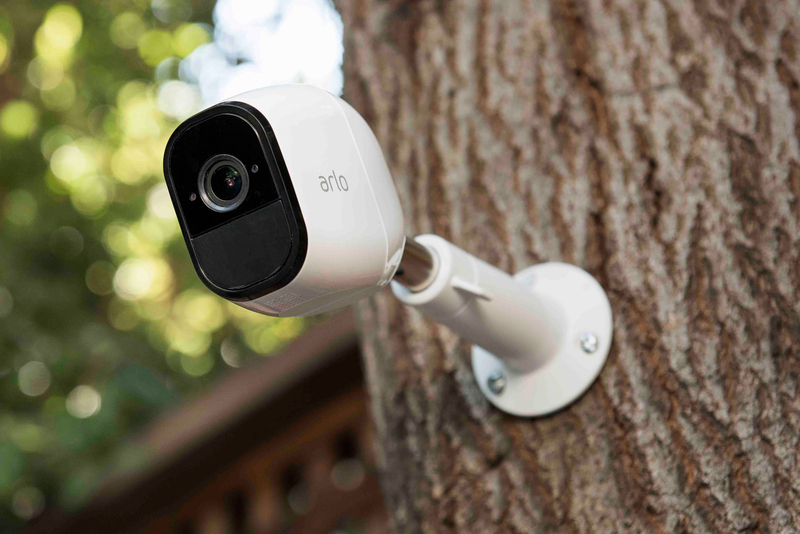 The name may be a bit unusual but if you’re looking for a well-rounded security solution, Arlo Pro is loaded with useful features. Arlo Pro is a wireless security camera (it can also be plugged in) sporting an ultra-wide 130-degree viewing angle with a battery life of up to six months. Weatherproofing means you can use it indoors or out while its night vision and infrared motion sensor makes it ideal even in the dark. Netgear’s latest also features two-way audio, allowing users to communicate without having to put themselves in danger (or you could simply tell the courier where to leave your package). As Engadget notes, Netgear is planning a machine language update later this year that’ll help the camera discern between humans and things like swaying branches or pets. The Arlo Pro system is available as of writing priced at $249.99 which includes a single camera and a base station with built-in siren. Each additional camera will set you back $189.99 or you can purchase a larger bundle up front that includes more cameras at a discounted price. That’s not exactly cheap but then again, it’s hard to put a tangible price on the peace of mind that a security-minded device like this affords.